Pam Kasemeyer, a partner of the law firm, Schwartz, Metz and Wise, P.A., has represented a variety of interests before the Maryland General Assembly and regulatory agencies for more than 30 years. 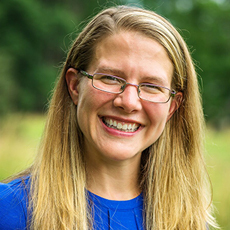 An acknowledged authority on Maryland’s environmental and health care laws, her clients include dominant trade organizations and corporate interests in the solid waste, energy and health care sectors. 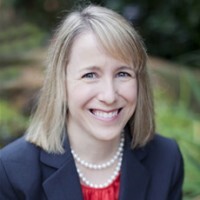 Pam earned a Bachelor of Arts in Public Policy Studies from Duke University, a Masters degree in Health Services Administration from George Washington University, and received her law degree from the University of Maryland Law School. 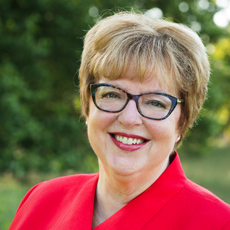 Pam is active in a number of community and professional organizations and has the pleasure of serving as a mentor for two Sisters Circle mentees. Honorable Stephanie A. Gallagher serves as a United States Magistrate Judge in Baltimore. Prior to joining the bench, she worked as a federal prosecutor and as an attorney in private practice, representing criminal defendants and civil litigants. Stephanie received her bachelor’s degree from Georgetown University and her law degree from Harvard Law School. She currently is engaged in other community and bar association activities. For several years, she has fostered a relationship between Sisters Circle and the Cathedral Food Program at the Cathedral of Mary Our Queen. 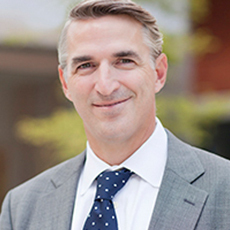 Douglas Holthaus is an Executive Director and Client Advisor at J.P. Morgan Private Bank in Baltimore, MD. In this role, he provides individuals, families, foundations, endowments and associations with comprehensive wealth management strategies, ongoing guidance, and customized plans to address their financial needs. Before joining J.P. Morgan, Mr. Holthaus was a Senior Vice President and Private Client Advisor with U.S. Trust, Bank of America Private Wealth Management in Baltimore. Employing a tailored approach when working with his clients, Mr. Holthaus helped business owners, entrepreneurs, senior executives and affluent families streamline their financial lives and prioritize the family, businesses and philanthropic concerns, allowing them to deploy and pass on their wealth more effectively. Mr. Holthaus holds a B.A. in political science from Salisbury University. Theresa Macheski is the Events Specialist at Kennedy Krieger Institute where she helps to run two of the Institute’s largest fundraisers, ROAR for Kids and Festival of Trees. She specializes in peer-to-peer fundraising and building donor support through events. Theresa is a graduate of Towson University where she received her Bachelor of Science with a focus was on women and the Lesbian, Gay, Bisexual, and Transgender communities. She is currently enrolled at the University of Baltimore to receive her Masters in Nonprofit Management and Social Entrepreneurship. In 2017, Theresa was inducted into the National Society of Leadership & Success. Michelle (Shelly) Malis is a graduate of Emory University and the University of Baltimore School of Law. Shelly currently serves on the Boards of The Associated, The Women of the Associated (2015 annual campaign chair), Chizuk Amuno Congregation (immediate past president) and Art With A Heart. Her past board service also includes: Jewish Volunteer Connection, the Center for Community Engagement and Leadership, the Center for Jewish Eduction, the Children’s Scholarship Fund, the Maryland Teen Initiative and the Krieger Schechter Day School. 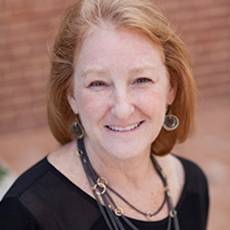 Shelly is a founding member and past chair of the Women’s Giving Foundation and a member of the Baltimore-Ashkelon Partnership Committee and the Baltimore-Odessa Partnership Committee. Shelly has been a mentor through Sisters Circle for 10 years. Katrina Bell McDonald, Ph.D. is an Associate Professor of Sociology at The Johns Hopkins University and accomplished author. Previously, she served as Associate Dean of Multicultural Affairs. Teaching both domestically and in China, she became the second black female ever to be awarded tenure in the School of Arts and Sciences or the School of Engineering. Dr. McDonald serves on the board of the Center for Africana Studies and is a past member of the Hopkins Diversity Leadership Council and the Maryland Humanities Council. 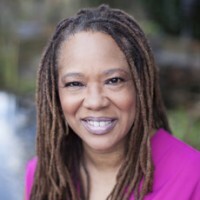 Dr. McDonald earned a Bachelor of Arts degree with honors in Written Communication from Mills College; a Master of Arts degree in Applied Communication Research from Stanford University; and Master of Arts and Ph.D. degrees in Sociology from the University of California, Davis. 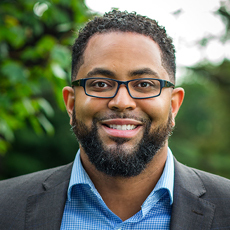 Gerren Price currently serves as the Director of Public Space Operations for the DowntownDC Business Improvement District (BID), where he leads a team of 80+ staff to ensure that downtown D.C. is clean, safe, and economically viable. He previously served as Senior Associate for National Community Strategies at the Annie E. Casey Foundation and held several leadership positions within the District of Columbia government, including deputy director of the city’s workforce agency, director of programs for the city’s parks and recreation department, and program coordinator for the city’s public schools. Price resides in Washington, D.C. with his wife and two daughters and serves as a mentor to several young men in his community. He holds a B.A. in Urban Studies from the University of Pennsylvania and an M.S./M.B.A. from the University of Maryland University College. 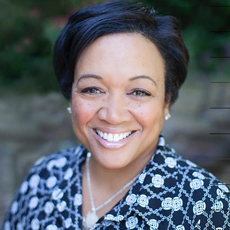 As principal of NLR Consulting Group, Robyn Ringgold serves as an IT Project Management Consultant for Federal and private clients. Additionally, she is president of Solar Publishing, a children’s multimedia company dedicated to introducing holistic living and environmental awareness to families, where she has also authored three beloved children’s books. Robyn remains an active mentor and volunteer for Sisters Circle since she started as a weekly leader in 2004. After graduating from Maryvale Preparatory School for Girls, she earned a BS degree from Florida A&M University. Cheryl L. Steinbacher is Senior Vice President of Human Resources with MidAtlantic Farm Credit. She has 30 years of human resources experience in financial services, payment processing, manufacturing, and high technology industries. Cheryl earned a B.S. in Organization Development from the University of Tennessee and an M.Ed. in Organization Development from Vanderbilt University. Cheryl is a member of the Society for Human Resource Management and holds the professional certification of SHRM-SCP, SPHR. She is also a current board member of the Farm Credit Foundation for Agricultural Advancement. 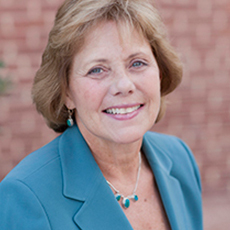 Peggy Wolf is a native Baltimorean who has worked in the independent school community for over thirty five years as a teacher and school administrator. She earned her bachelor’s and master’s degree in Education from the George Washington University. 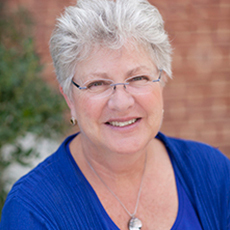 Peggy’s community involvement includes Central Scholarship Bureau, Baltimore Hebrew Congregation, the Jewish Community Center of Baltimore, The Baltimore Jewish Council, and the Associated Jewish Community Federation of Baltimore. Thanks to Deidre and Sisters Circle, we are the first in our families to go to college! They were behind us every step of the way -- and still are as we think about plans after graduation.